Save castle speakers to get e-mail alerts and updates on your eBay Feed. Unfollow castle speakers to stop getting updates on your eBay feed. 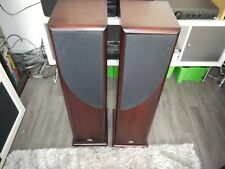 Castle Severn 2 Floorstanding Speakers with Replacement Drivers 3yrs ago ! CASTLE ACOUSTiCS Limited Speakers X2 Richmond 2 Model , Solid Wood .1970s.